Hello dear readers, T.I.N Magazine presents you the 10 most influential women in Nigeria 2016. Well, many may question this ranking but this was judge based on the impacts the people on this list has made within the last 12months. Criteria includes how well they’ve grown their brands, how good they’ve made Nigeria look internationally, how helpful they’ve been to the society in general. Note, the no.1 person on this list is the most influential woman in Nigeria of year 2016. So relax and calmly go through our list below. Meet the owner/CEO of the newly launched ROK studio/TV in UK. Mary Remmy Njoku is the CEO of ROK studio/TV. ROK Studios is a Lagos-based film studio, that just launched a fresh out of the box television channel on Sky TV in the UK. Spouse: Founder of Iroko TV – Jason Njoku is married to Nollywood actress, Mary Remmy. The star-studded ceremony took place at the Golden Tulip Hotel in Lagos and was anchored by Nollywood’s Charles Inojie. The ceremony was attended by several movie and music industry players such as Mercy Aigbe, Emem Isong, Oge Okoye, Mercy Johnson, 2Shotz amongst others. Tiwatope Savage-Balogun better known by her stage name Tiwa Savage, is a Nigerian singer, songwriter, performer and actress. She is arguably the most popular female singer in Africa. Tiwa Savage as the face of women in the Nigeria music industry obviously shows how much influence she wades in the entertainment industry. Tiwa savage is an ambassador to many huge brands in Nigeria. Savage has been involved in many youth empowerment and breast cancer screening projects across Nigeria. Savage helped raise money for an organisation that build schools in her hometown. Oby Ezekwesili is as fiery as she is intelligent. A major voice in the Bring Back Our Girls campaign, Oby shows strength of character, vision and decisive leadership. She is a trained accountant, a co-founder of Transparency International and is serving as one of the pioneer directors of the global anti-corruption body based in Berlin, Germany. She also served as Federal Minister of Solid Minerals and then as Federal Minister of Education during the second-term of former president Olusegun Obasanjo. Her efforts this year to fight the incompetency of the present government has been shown by her continuous critics and comments in the media. Iara Oshiomhole and Ahmed Ali, the Comptroller General of Customs. The former model is a wife of Governor Adams Oshiomhole of the Edo state. Mrs Oshiomhole recently launched her pet project “We Care Trust,” which focuses on welfare for orphans, environmental responsibilities and skills acquisition stem from her passion for the vulnerable. When photos of her wedding appeared on the internet, most Nigerians believed she was just an ‘arm candy’ for the governor’. Meanwhile, her recent humanitarian activities are gradually setting her apart. Indeed, the incumbent government may not have as much women in principal positions as the previous one, but given the nature of these women, it will only be a matter of time before their performances can affect lives of other women in Nigeria positively. Mosunmola Abudu popularly known as Mo Abudu, is the founder of Ebony Life Television and Inspire Africa Foundation. She’s also the host of ‘Moments with Mo.’ As a TV producer, media personality, human resources management consultant, and entrepreneur, Mo is the poster child for those who keep evolving for the better. She is also the creator and executive producer of “The Debaters”, and has been described by Forbes as “Africa’s Most Successful Woman”. Abudu is the founder of The Inspire Africa Foundation, a human investment arm of Inspire Africa Ltd. It is registered as a non-profit organisation focused on raising funds to implement society-transforming initiatives. The Foundation has opened a charity store branded “The Designers Outlet for Charity”, which opened on 5 December 2009 in Lagos, Nigeria. The foundation is also developing a children’s shelter called “The Harbour”. Aisha is the wife of Muhammadu Buhari, the president of Nigeria, who was inaugurated on May 29, 2015 after defeating the Goodluck Jonathan. She is a Cosmetologist and Beauty therapist. Buhari’s wife announced her decision to be addressed as the wife of the president and not the first lady of Nigeria. Her action has been greeted with extreme repulsion. Report has it since getting inaugurated the wife of the president has made quite some efforts in helping the masses in Nigeria most especially the women. Former Senator Aisha Alhassan also known as Mama Taraba the minister of women affairs, her recent achievement being on the verge of winning the gubernatorial sit in Taraba state automatically made her a role model for female politicians in Nigeria. In recent news as Minister of Women Affairs and Social Development, Aisha Alhassan, said N200 million would be disbursed to eight pilot states each through the National Women Empowerment Fund, NAWEF, to empower women at the grassroots. She added that “the NAWEF targets 10,000 women beneficiaries in each of the pilot states; the condition of the loans both under the GEEP and NAWEF are the same. Aisha has been a real advocate for women in Nigeria as she uses every opportunity she gets to promote and help women that needs help in Nigeria. 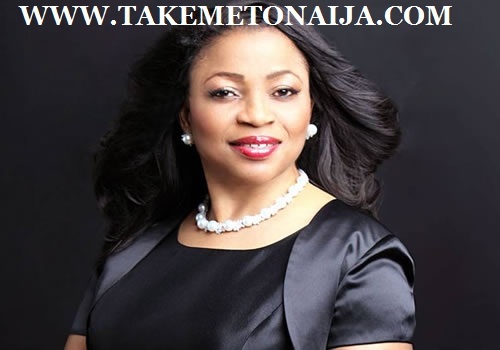 Folorunsho Alakija is a Nigerian businesswoman who is the second richest African woman after Isabel Dos Santos and also the third richest woman of African descent in the world. She is a business tycoon involved in the fashion, oil and printing industries. She is the group managing director of The Rose of Sharon Group which consists of The Rose of Sharon Prints & Promotions Limited and Digital Reality Prints Limited and the executive vice-chairman of Famfa Oil Limited. Folorunsho has a foundation called the Rose of Sharon Foundation that helps widows and orphans by empowering them through scholarships and business grants. .
The“I Need To Know” Starlet Bisi, has grown to a bigz girlz. Funke Akindele has done several Nollywood movies that are unforgettable, including her self-produced movie with the Character title Jennifer. Funke worked in television before switching to cinema, she studied Mass Communication in Ogun State Polytechnic, and later bagged a law degree from the University of Lagos. In 2009, she won the Africa Movie Academy Award for Best Actress in a Leading Role, and in 2015, starred in Tchidi Chikere’s “Compound Fool”. At the moment Funke Akindele is making giant strides in Nollywood, the prolific actress has been setting and breaking records with her hugely successful TV Series called Jennifa’s diary. Helping a lot of upcoming actors and upcoming movie practitioners. By now we definitely can tell Funke has shown us how big TV Shows can get in Nigeria. Funke Akindele runs a non-governmental Organisation known as THE JENIFA FOUNDATION, whose aims and objectives involves nurturing talents and acquiring vocational skills. She is definitely ranked second on this list. Most popular blogger in Nigeria, Linda Ikeji is best known for her controversial publications. After graduating from University of Lagos where she studied English Language, Linda started blogging in 2006. Her blog which started out as a gossip column has become the most celebrated blog in Africa and the one stop portal for information, entertainment and gossip. Her use of technology to carve a niche for herself and create an innovative platform has made her a source of inspiration to many young bloggers. Just within the past 12 months Linda Ikeji has made quite a lot of influence in the country as a whole. At the moment Linda Ikeji is currently hiring people in her newly launched media company. Linda Ikeji lauched a movement last year called: :|”I had rather be self made” personally funding young women to start businesses of their chosen. NOTE: This is not an all time ranking, this is specifically for year 2016 and 2016 only, ranking might change next year. WARNING: DO NOT COPY THIS TO ANOTHER WEB PAGE WITHOUT A LINK TO THIS SIITE.